Packing Instructions for Lithium Batteries. IATA Dangerous Goods Regulations 54th Edition introduced significantly revised Packing Instructions PI 965-PI 970, effective January 1, 2013. This Technical Guide breaks the instructions down into easily understandable parts, in order to aid busy shippers. 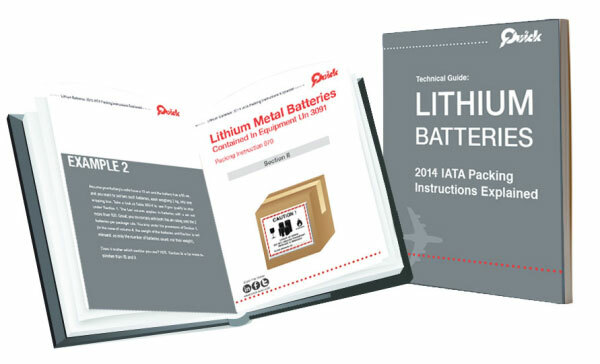 help you prepare your lithium batteries shipments with ease!